A very special offering from Vermont Horse Country and Abby Rowlee Photography. Abby's 2018 Calendar is now available from our store. Our High Brook Morgan Horse farm is one of three that form an original land grant from before the revolution. The other two farms are the famous Jenne Farm, the most photographed farm in the state, and the Rowlee Farm just beyond it. These three farms have passed through many generations of the same families and remain, icons of the Vermont farming culture, largely unchanged in character and purpose to this day. Abby offers a dozen carefully chosen photographs framing the world as we see it every day and would hope to share it with you. 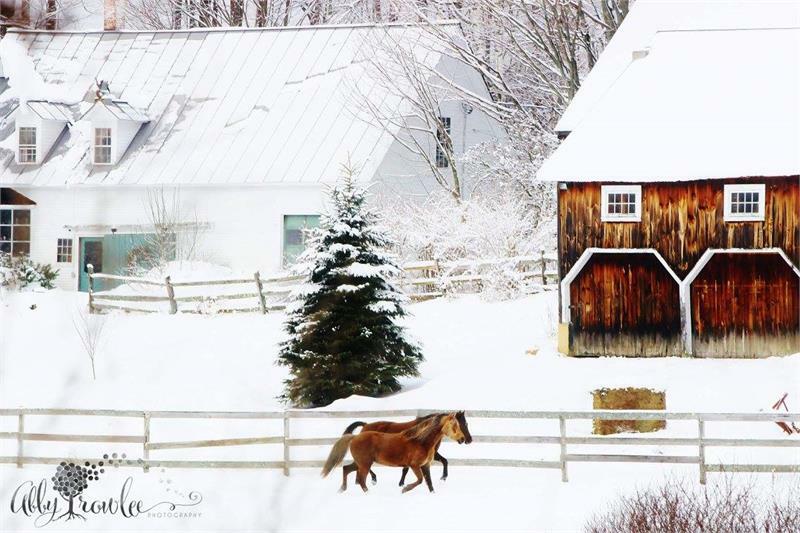 There are horses and cows and maple trees and sugarhhouses and all the wonder of the changing seasons in Vermont Horse Country. Last year's calendar was a sold out limited edition so we are very proud to offer Abby's 2018 calendar here and in our store.